The proposed merger of Pengana Holdings and Hunter Hall International is good for Hunter Hall investors according to Geoff Wilson, who has been battling for small shareholders since the bizarre sale of a big part of his stake by founder Peter Hall over Christmas. If it progresses, which is considered likely, the merger should bring to an end a messy saga which involves several companies, including the LIC Hunter Hall Global Value (HHV) of which Wilson Asset Management is a 13 per cent shareholder. Wilson’s feisty founder, Geoff Wilson, has been the main critic of Peter Hall’s sale, initially, of 19.9 per cent of the listed Hunter Hall International to Washington H. Soul Pattinson, which he allegedly announced to his board on Christmas eve, a Saturday, at $1.00 a share. This was about one-third the then market price. Subsequent to that several parties have tried to intervene, including multi-affiliate manager Pinnacle Investment Management, which made an alternative, though conditional, bid for the main Hunter Hall company. Geoff Wilson said over the weekend, in response to the latest twist in the drama, that the proposed takeover by Pengana was a good thing for Hunter Hall shareholders, which should result in professional management of the troubled company. He had called for a meeting of HHV shareholders, still scheduled for April 6, after criticising the Hunter Hall International board on several fronts in the past two months, including over-payment and poor governance. Wilson is arguably Australia’s best and most influential manager of LICs, including the recently launched not-for-profit Future Generation companies, where the management fees are donated to charities. 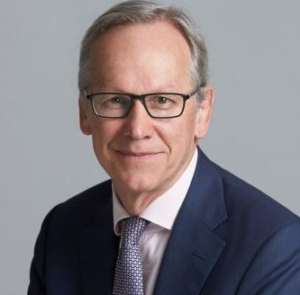 The Pengana deal announced late week involves the firm’s co-founder, Russel Pillemer, taking over as CEO of the combined entity – merging about $2 billion of Pengana funds under management with $1 billion of Hunter Hall money. Soul Patts will have 32 per cent of the merged business if the deal is approved. For what it is worth, the Hunter Hall board said last Friday that it continued to recommend shareholders not accept the various offers for their shares – including those from Soul Patts and from Pinnacle – until they receive an explanatory memorandum from the company in April.